As regulations become more stringent and the Transportation Security Administration (TSA) continues to add stricter security measures for travelers choosing to fly this year, many are wondering what they will come up with next. Tradewinds Travel Club would like to take a look at the current security measures being discussed by the TSA and what it means to you on your next vacation. Making the headlines in recent weeks is a discussion about how to judge flight risks from the millions of travelers that pass through the gates each day. It appears to most that the TSA has chosen to treat everyone equal, in this case, worry more and expect the best. Though not always the best mantra in many peoples eyes, one can only accept that for now, this is the way it is. Recent developments have lead the TSA to contemplate the fact that not everyone is a conceivable threat and have been looking into ways to speed up the boarding process for the trusted traveler, enter the trusted traveler program. Programs such as the trusted traveler program allow the airport to know a bit more about the travelers background in order to speed up the process for you. For those who travel often in and out of the country, speeding up the check in process is an important part of their travels. Those who travel infrequently may not have as big of an issue with the lines and clearance procedures that are involved with boarding a plane. But if you are one of the thousands that do travel frequently, it would make sense that you receive priority when boarding a flight. As such, the trusted traveler program offers you a low risk travel status allowing you expedited check in and making your trip to the airport a bit less stressful. Dedicated lanes and kiosks are found in many airports already offering those who qualify for the program this option. If you would like to apply for the trusted traveler program and would like more information on this or other programs, visit cbp.gov. You can also apply online for the trusted traveler program by clicking on the link provided from the U.S. Customs and Border Protection website. Let us know what you think. Feel free to add your own feelings about this topic with our readers. Tradewinds Travel Club offers you advice and tips on travel worldwide. 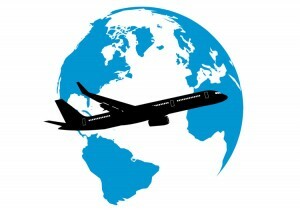 Your partner in travel, we do the research for you and offer you discounts on travel in the U.S. and abroad. Make the most of your vacation dollar and stay informed with Tradewinds Travel Club as your partner in travel.